Of this group, this member (low-key) may be respected the most simply for not being pompous or too deep into the mainstream music industry. 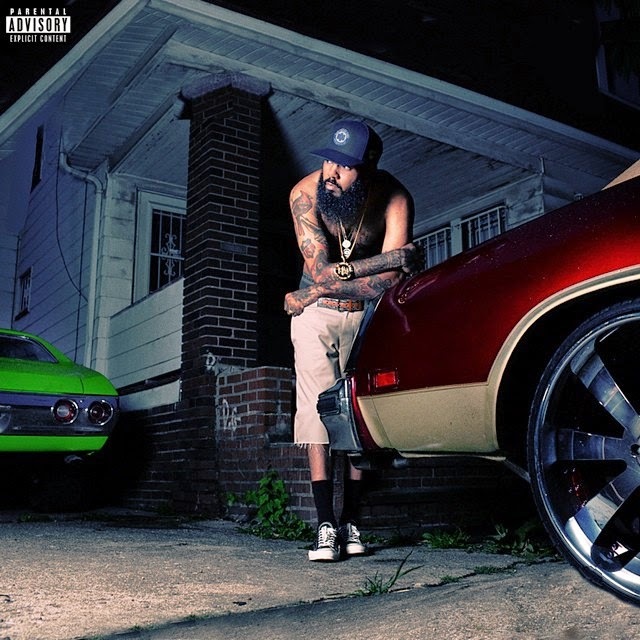 Maybach Music Group’s Stalley released his long awaited debut album Ohio a few weeks ago, ceasing the rumors of Ross not being as focused on him as the other members of MMG. Stalley was seen as the Jay Electronica (solely based off of a tedious album release), after having a 3 year wait for a signature drop. However, the Ohio native did drop a major mixtape in 2012 Savage Journey To The American Dream, and Honest Cowboy, as a quiet release last year. Regardless of the wait, it is nice to see Stalley’s patience pay off. Ohio starts off with it’s self titled acronym “Welcome to O.H.I.O. (Over Here I’m Original).” As nothing but more than a intro, Stalley shouts out separate cities in Ohio and lets them know they can put their money on him. As the LP develops Stalley lets listeners know what his neighborhood(s) in Ohio are about. This whole album is very laxed and mellow. Being from the midwest and very close to Motown, Stalley has a lost of jazz and band instruments on his tracks to give this project its own individuality. To add to the project, there aren’t a lot of features and we as listeners get to hear Stalley as an artist and the pictures he paints. The only bad track of the 12 on the album, which is also one of the features, is “One More Shot” featuring Rick Ross & August Alsina. The song is absolutely horrendous, and the credit is owed to the whining of Mr. Alsina. Aside from the terrible vocals, I don’t think this song could have been much better. As the designated “ladies song” on the album, it barely has any affect to the project as a whole. “Navajo Rugs” is a track that will make a blemish like “One More Shot” obsolete. This track features the renown De La Soul. As one of the better tracks on the album, this song is about entering the mind of Stalley, Posdnuos and Dave. Each verse is woven like tapestry with each artist. “Navajo Rugs” is a great track that all true fans of hip-hop will like especially with classic verses from De La Soul. It’s no secret that of the Maybach Music Group Empire, Stalley is the one that is least checked for. Should this be viewed as a travesty of talent? Or should this be a weight lifter for him? With him being the lone wolf of the group, Stalley does not have to worry about the pressure of dropping a project and has the availability to exercise his own creative space as an artist to produce great albums like Ohio. This by far is Stalley’s best project, and with it being his debut album he couldn’t be more pleased with the outcome. His previous mixtape, Honest Cowboy, seemed very dull and did not make a statement to me. I believe Ohio will overshadow his previous project with ease. While having a dope debut album, I don’t think Ohio will make too much noise among the hip-hop community. Stalley seems to enjoy his solitude and it can be deduced from his career and how much you hear from him whether it is the tabloids, blogs, clubs or anything. Stalley is not a in your face type of MC, he simply gives you the music and disappears like smoke. If this project is to break through on a higher platform it will be the fans and bloggers to give him the acknowledgement he deserves.